Read the best book in the world! 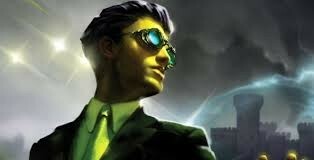 Artemis Fowl is a thriling sceiries that will catch you and have you loveing it from the first word! Artemis Fowl is about a teenage mastermind and his adventures that take him from villian to untold hero! Read this amazing book and join Artemis, Butler, Holly, Julious, and Foaly as they go on the adventures of there lives. Their are 8 books, but don't let that scare you away they are easy to read and facinating to! Here is the order of the books . . .